Update: Just like last year, this year’s event has sold out! Last year’s CE training to help veterinarians move into animal shelter leadership roles was a sold-out success. 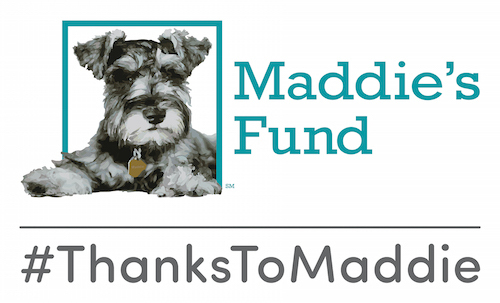 This year, the Maddie’s Shelter Medicine Program at the University of Florida and Emancipet are teaming up to do it again – and there are only a few spaces left! We believe veterinarians are ideally positioned as leaders for the welfare of animals in shelters and the community. If you work in an animal shelter or spay/neuter clinic and are ready to move beyond the surgery suite and have a genuine policy voice and leadership role in your organization, the 2017 “Veterinarians to Leaders” two-day CE workship is for you. This opportunity is exclusively for veterinarians, and will be held in Gainesville, Florida, on October 27-28. This two-day, in person workshop will zero in on the unique leadership challenges you face. Veterinarians who attend will be able to put aside veterinary and technical issues for two days and focus in on what it takes to provide outstanding leadership to a team, including communication skills, self-awareness, collaborative decision making, conflict negotiation, and the essential practices of servant leadership. 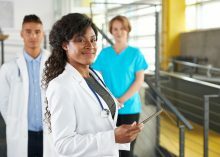 This small group setting of veterinarians on a management career track provides a fun and safe environment for participants to improve their skills and connect with like-minded colleagues. Registration is limited, and last year’s workshop was sold out and had a waiting list. Don’t wait — get more information and register today! The Veterinarians to Leaders CE workshop is presented in cooperation with Emancipet, a nonprofit organization dedicated to promoting affordable and accessible high-quality spay/neuter and veterinary care. Emancipet also provides training and consulting programs to animal welfare organizations across the country.